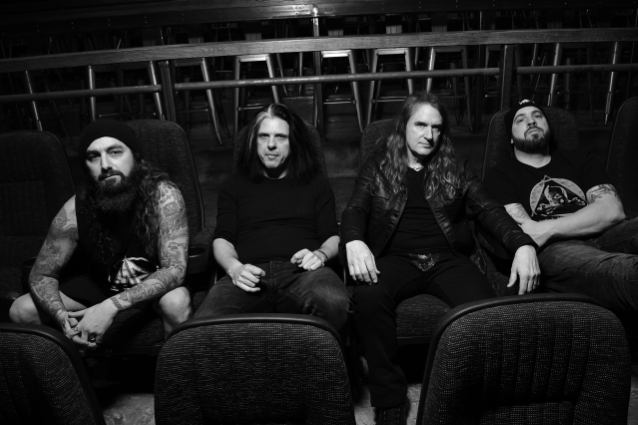 A new trailer for "Volume II - Power Drunk Majesty", in which the core four members of METAL ALLEGIANCE talk about recording and mixing with Mark Lewis, can be seen below. 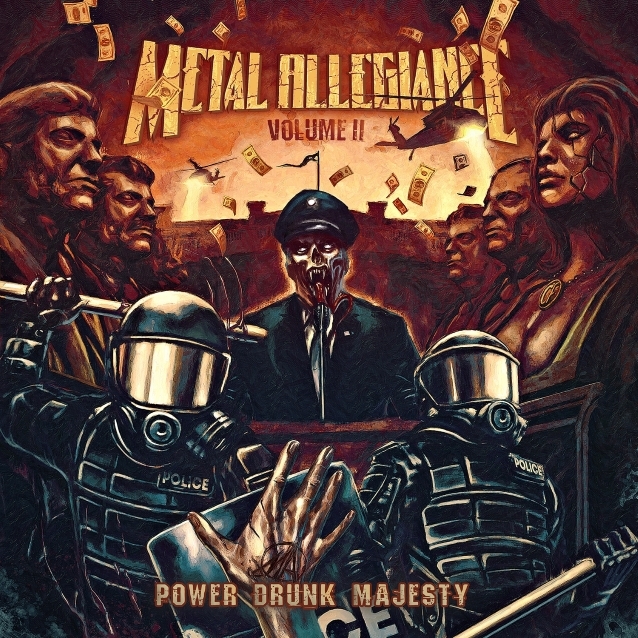 Guest musicians on "Volume II - Power Drunk Majesty" include John Bush (ARMORED SAINT, ANTHRAX), Trevor Strnad (THE BLACK DAHLIA MURDER), Max Cavalera (SOULFLY), Bobby "Blitz" Ellsworth (OVERKILL), Mark Tornillo (ACCEPT), Floor Jansen (NIGHTWISH) and Johan Hegg (AMON). The album also marks the return of Mark Oseguesda (DEATH ANGEL) and Troy Sanders (MASTODON).